Kathryn graduated from the Ontario Veterinary College in 2007. She worked in Ontario for a few months prior to moving to B.C. for her husband’s job. 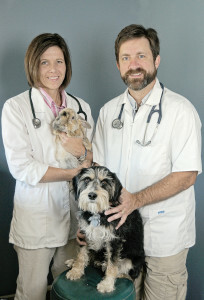 She practiced emergency medicine in Langley for several years while completing a distance diploma in Veterinary Public Health from the University of Sydney. The family relocated to the Kamloops area and she has worked as a small animal veterinarian for the past few years. 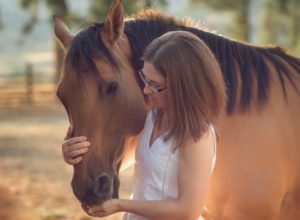 She was on the board of directors for 7 years of the Langley Animal Protection Society and is on the editorial committee for the West Coast Veterinarian magazine. Kathryn’s strengths lie in medicine cases with a particular focus on shelter medicine, emergency care, ultrasound imaging and working dog issues. Kathryn and her husband have two kids, two horses and two cats to keep life interesting! Kim graduated from TRU in 2014 with a BSc in Animal Biology and a Registered Veterinary Technologist. Kim has spent a number of years working at the BCSPCA before joining us. With this she brings great animal handling skills and is a strong advocate for the humane treatment of all species. Kim’s interests are in Anesthesia and Pain control, and she is always looking to improve her skills! Travel is also a passion and she has managed to incorporate that with her work when she went to Joplin, Missouri after the tornado and most recently helping with the wildfires of 2017. Catherine graduated from TRU in 2010, but began her journey towards becoming a RVT as a teenager working in clinics. Catherine enjoys performing dental assessments and cleaning and says “there is no better feeling than reuniting pet with their family, knowing that they are healthy and happy.” On her down time, she can be found exploring the outdoors with her family; which, aside from the humans, consists of 2 dogs and 2 cats.